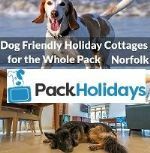 Search here for a last minute pet friendly holiday breaks. 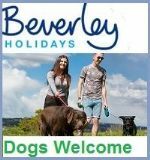 Special Offers & Late Availability have been posted here by those that allow dogs. 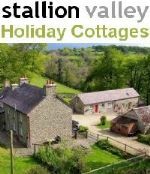 Accommodation ranges from Self- Catering Cottages, Lodges, Apartments & Static Caravans. Breaks for the family including fido. Below is our latest pet friendly late availability. Ploughmans Cottage, Sutherland Scottish Highlands. limited availability left for May. In addition we’ll make sure there’s a chilled bottle of some local apple juice in addition to our other welcome goodies. Please quote reference PETF3 when making your booking through our website. 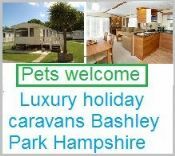 Last minute offers pets accepted - Save up to 20% on selected properties. 1 - 3 dogs welcome, some properties have enclosed gardens, open fires and a beach close by. 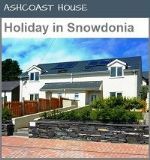 The largest range of holiday cottages in all locations. Grab a bargain break. Stay 4 nights or more B&B for a lower price of £80 per night in this romantic peaceful oasis close to the sea. Hot tub, birdsong and wildfower meadow. 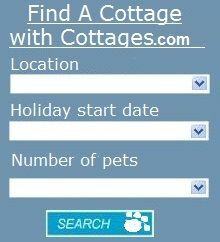 Quote Pet Holiday Finder. Come and stay in our self-catering cottage, we have some late availability offers with prices reduces. 2 x pets FREE - Bed Linen - Parking- Secure private Patio. Beautiful area. Pretty character cottage. Pretty village. Great pub! opposite! PO / and Shop Nr BATTLE (1066 and all that - Abbey) and BODIAM (with it's Castle) The Sea in Hastings just a short drive away with the newly re-opened PIER Eastbourne Bexhill etc nearby Book Now! You will be most Welcome! . There is still time to grab a holiday break in and around Exmoor, pets welcome too! Prices reduced by up to 20%. 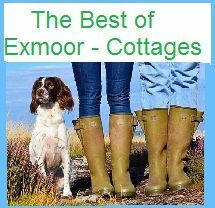 Best of Exmoor have some of the best collections of cottages in North Devon and Somerset. Visit the website for the best deals. 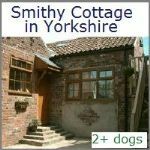 Spring short breaks in dog-friendly cottages with enclosed gardens, woodburners and private valley for walkies on site. Located in beautiful South Hams near beaches and dog-friendly local pubs. Great walking on South West Coast Path. 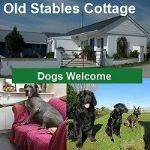 We welcome up to 2 dogs in our comfy, 4 star cottages situated in a peaceful and firework-free valley near Start Bay and Slapton village in South Devon. Visit our website for more cottage and local information and to book online, or ring Ruth and Jon to discuss your requirements on 01548 521272. Last Minute Deals in Norfolk. LATE AVAILABILITY OFFERS Saturday 16 - 23 April - Winterton Holidays offer a selection of self catering chalets located on Winterton Valley Chalet Park. Prices start at £180 for the week. 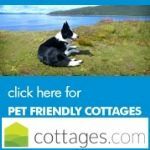 Pet charge just £15 per short break or £25 for 5 nights or more. .
We have added more dates for our free dog training sessions. Just stay with us for a week over the following dates and get 3 hours of free training for you and your dogs !